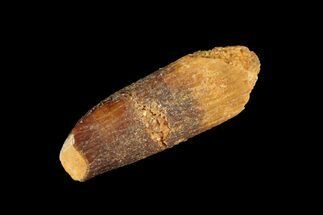 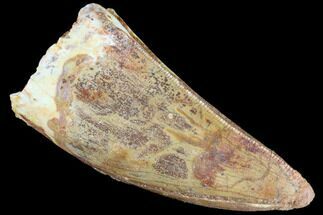 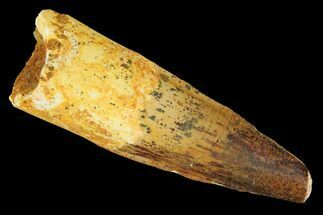 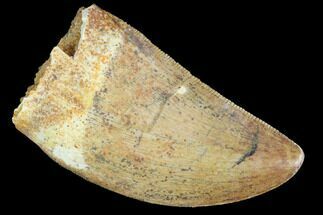 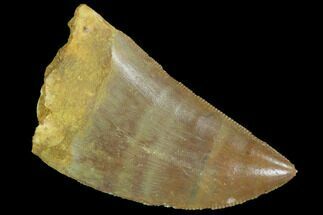 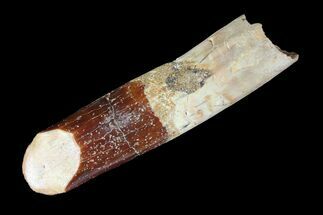 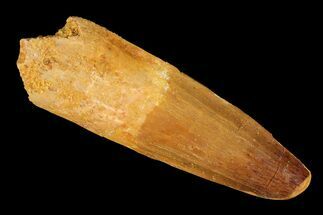 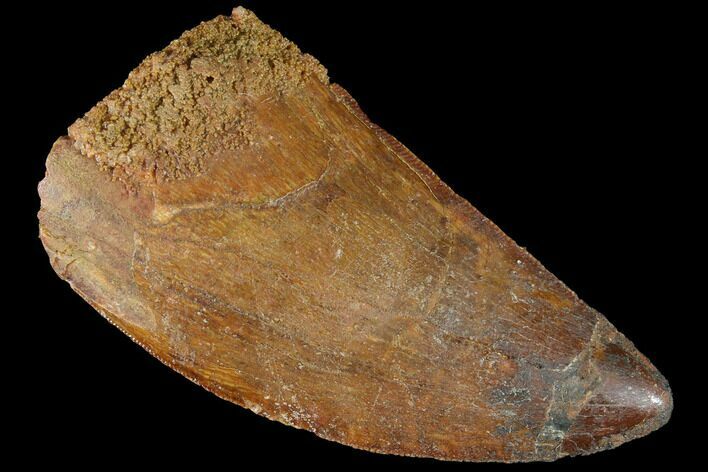 This is an authentic, 3.25" long fossil tooth of Carcharodontosaurus from the Late Cretaceous, Kem Kem Beds of Morocco. 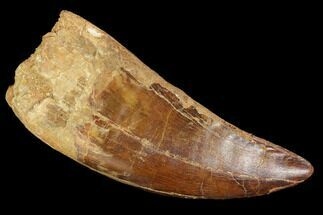 Carcharodontosaurus was a massive predatory dinosaur that reached sizes larger than that of Tyrannosaurus rex. 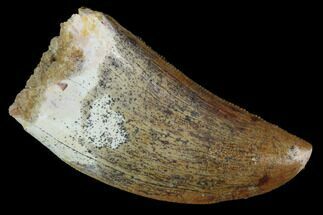 The serrations of the tooth are pretty worn as is the tip. 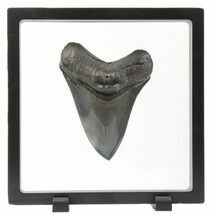 A little bit of restoration to the tip.